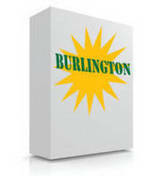 Pamela Polston wrote a story in this week's Seven Days about a campaign to brand the Burlington area. She writes about a recent presentation from the Burlington Regional Branding Project, a collaboration between the Lake Champlain Chamber of Commerce and the Burlington Business Association. The collaborators are trying to come up with a marketing campaign that will lure more tourists here. A panelist had mentioned that the group was considering a list of about 30 suggestions, but hadn’t yet “fallen in love.” What were the suggestions? The panel seemed reluctant to say. Peppered with more questions — Who was going to decide? Why wasn’t it open to the public? What if Burlingtonians found the slogan lame and embarrassing? — the panelists got a little defensive. They assured the audience they were still open to suggestions. And they reiterated that the slogan was for visitors, not necessarily for residents. Does this make anyone else nervous? After this meeting, BBA Director Nancy Wood sent an email inviting BBA members to submit slogan ideas. In the spirit of advancing the public conversation on this matter, Seven Days is asking readers to submit their own slogan ideas. We're planning to print a bunch of them in next week's paper, possibly on the new Web Page. So please, send us your slogans. Burlington already has a slogan, or a brand, or what have you. It's called "The "Queen City." Anybody know why Burlington, Vermont is known as "The Queen City?"